Coalition chair MK David Bitan comes out strongly against a seeming 'haredi takeover,' after haredi politicians score Shabbat victory. Last week, haredi parties threatened to break the coalition over train works which were planned for Shabbat, which would violate religious prohibitions against working on Shabbat. When they appealed to Katz, he told them he had no jurisdiction over the matter, and recommended they turn to the Labor Minister or the Prime Minister himself. In the aftermath of Prime Minister Binyamin Netanyahu's consent to change the way train projects are run, representatives of the haredi parties are now calling for Katz's dismissal. MK Bitan, though, rejects the right of haredim to call the shots while Likud remains the ruling party. "[Haredi politicians] will not decide who will be a minister of Likud, plain and simple." Bitan was speaking in an interview with Channel 10 on Sunday morning. Bitan did admit that while he felt strongly about the matter, going to loggerheads over the religiously-charged issue may break the coalition. Haredi politicians claim that Katz lied to them when he claimed he had no jurisdiction over stopping the Israel Railways construction and repairs projects - and that he is therefore unfit for office. 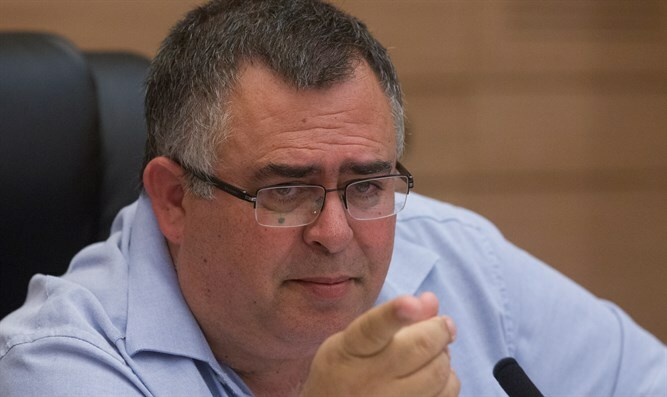 Bitan, for his part, responded that Netanyahu's capitulation is the crest of a slippery slope of demands, which will not stop with the Transportation Ministry. According to Bitan, in order to stop the tide, the Likud needs to make a stand now. "The matter will stand or fall over this issue," he said.